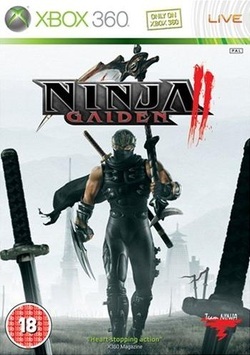 As gamers were cutting up mythical beasts in God of War and demons in Devil May Cry, the Xbox was getting its own special hack ‘n’ slasher with Ninja Gaiden in 2004. Perhaps the most difficult game to come out during the sixth-gen, gamers and critics alike praised its intense production values, challenging but satisfying gameplay and for being a faithful reimagining of the NES classic. Though an upgrade was released a year later, gamers would be forced to wait until 2008 to get their hands on the sequel. Bigger, bloodier and ball-crushingly hard, Ninja Gaiden II is a slick and energetic, if flawed, action game that reminds us that difficult games are fun when done right. 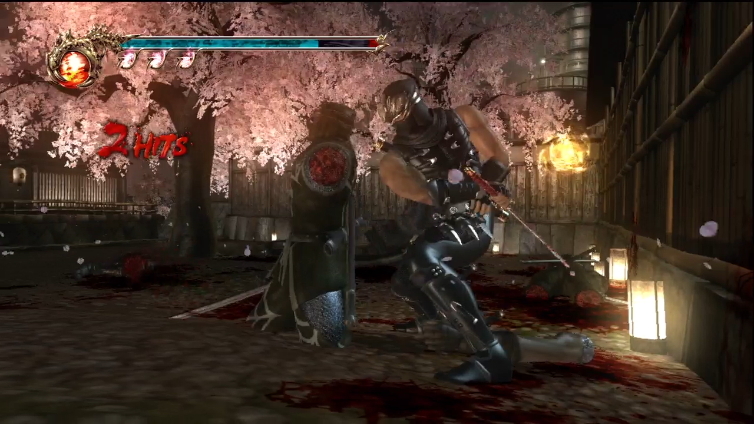 Taking place a year after the events of the original, Ninja Gaiden II again places gamers in the shoes of Ryu Hayabusa. 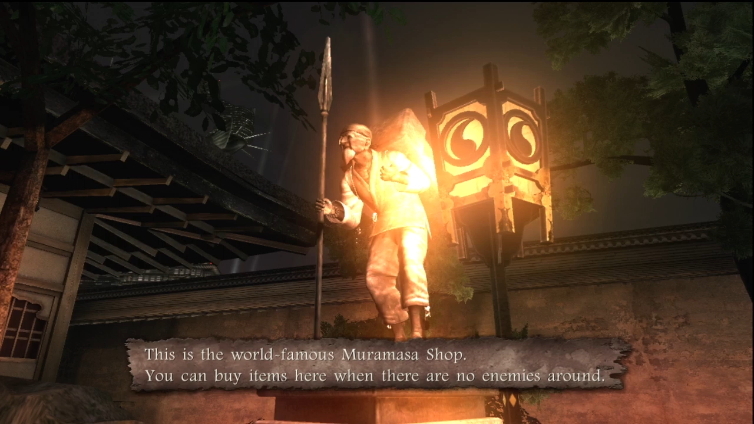 Successfully preventing a kidnap attempt on a CIA agent, Ryu is later informed that his village is under attack, and it is clear that the Black Spider Clan is up to no good. They manage to steal a statue in an attempt to access its power, and along with a group known as the Greater Fiends, begin spreading chaos around the globe. Though backed by stylish and exciting cut-scenes, the story is mostly unengaging, serving to move you from one bloody fight to another. Moments of stiff, awkward dialogue don’t add much either, but it never becomes offensive. NGII takes place over 13 linear chapters, as you cut through anything standing in your way, alongside some rarer moments of platforming and simplistic puzzles. Combat seems pretty basic at first, as you have a strong and weak strike, as well as a block move. Some other aspects spice up the slashing though. Special Nimpo attacks allow you to throw fire, wind and wormholes at bad guys as well as create phoenixes to add protection. These are governed by red orbs however, so excessive use will mean you cannot use them for long. As you play through the game, you’ll pick up new weaponry, the most extravagant being a hugely-oversized Scythe. Each weapon has its strengths and weaknesses, and enemies often will be easier to kill with different weaponry, though it manages to remain balanced despite some subtle differences. Where NGII stands out is in its challenge. Make no mistake; this is easily one of the hardest games on the system. 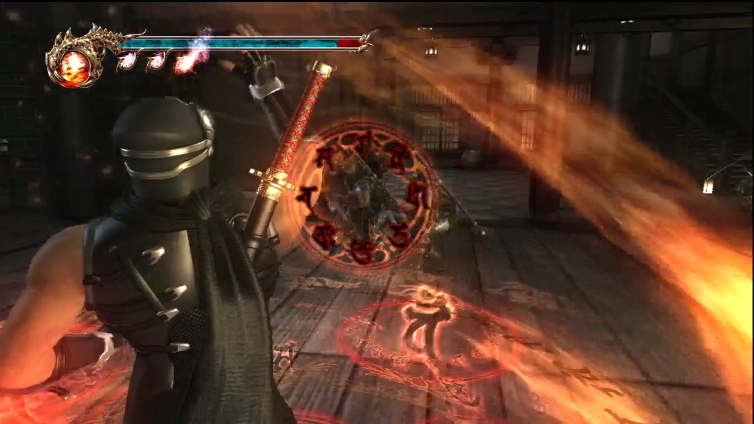 That being said, Team Ninja also realised that adding some accessibility increases the appeal, and so tweaks like restoring health at save points and checkpoints before boss fights are present to ease some of the pain. The lowest difficulty is flexible, though still harder than most easy difficulties. Things ramp up significantly on Warrior and above, as enemies are incredibly intelligent, often countering repetitive moves and spotting weaknesses before you can react, and their tendency to assault you in large groups often means your offence will be repeatedly cut off. Utilisation of combos and successful defence will reward you with progress and button mashing is punished with repeated death. It’s hard, but also incredibly satisfying once you crack your way through. 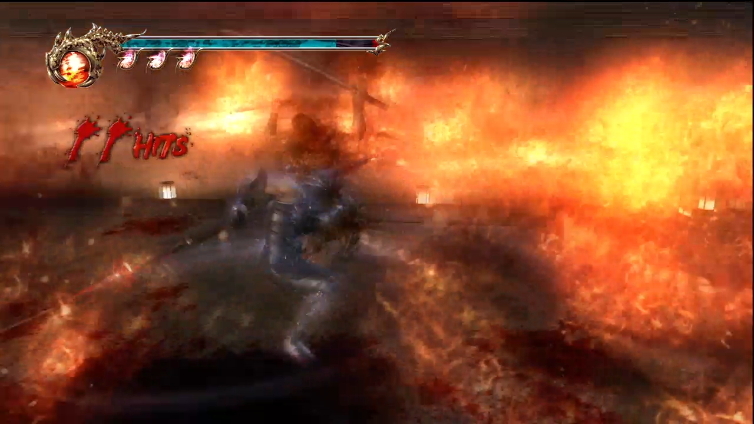 Not content with just being one of the hardest in the business, Ninja Gaiden II may also be the bloodiest. Limbs are dismembered by the second, blood sprays all over the walls and violent finishers called Obliterations result in extremely gruesome decapitations. It does border on excessive, but it also plays a key role during gameplay. Dismembering enemies is both a blessing and a curse, as while cutting off a limb opens up an opportunity to perform an Obliteration move, it leaves you vulnerable as dismembered foes perform suicidal tactics which take off huge chunks of health. 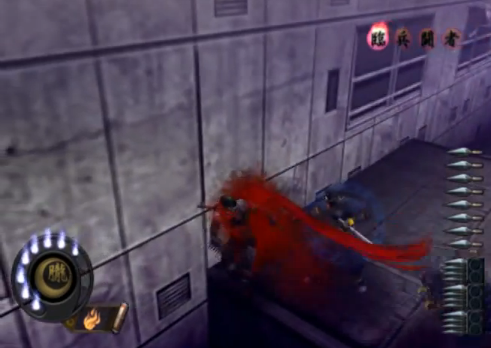 It’s sometimes gimmicky and laugh-inducing, but Team Ninja cleverly utilise this excessive gore in order to add an extra wrinkle to the already intense combat. That being said, NGII is not flawless, as some issues stop it from reaching the upper echelon of the genre. The main gripe comes from its bothersome camera. Zoomed-in in an attempt to fully capture Ryu’s stylish moves, it often obscures enemies and gets stuck on walls, making for an irritating time. Boss fights are pretty top-notch, with some excellent and epic fights, but some can be prone to cheap tactics or despawning completely. And though NGII is often satisfying, there are moments where it just simply becomes cheap. Certain foes cause more headaches than others, such as rabid dogs, which repeatedly attack you with cheap moves such as explosive darts, and these intense situations can really raise your blood pressure. Ninja Gaiden II is packed with content, which is impressive considering its single-player only aside from competitive leaderboards. The game will take you around 10 hours to finish on Acolyte, and the time just keeps adding on with every difficulty. Tests of Valor can be found around a majority of the levels, pitting you against a seemingly endless wave of certain foes. Often rewards come in the form of upgrades, making them worthwhile to finish. Outside of that, collectible skulls can be found during most levels, which increase your score multiplier across all difficulties, making them essential for leaderboard enthusiasts. 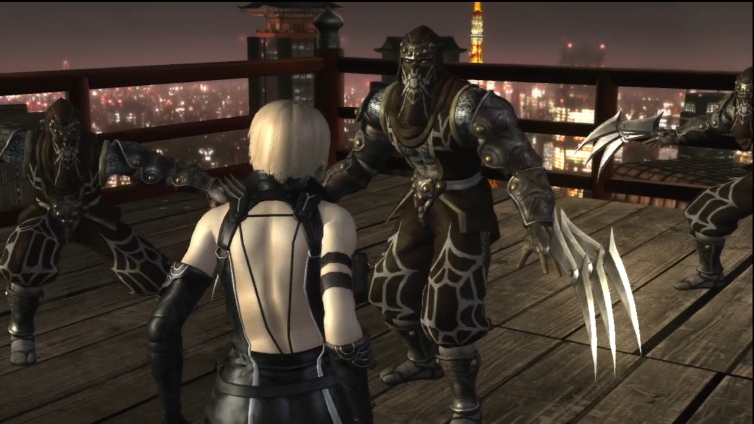 Ninja Gaiden was lauded for its technically excellent presentation, and while its sequel is not quite as advanced, it’s pretty nonetheless. Most of the gorgeous moments come from the beautifully animated combat, which looks fluid and intense. The myriad of foes you face look good and decapitate nicely, though models have a tendency to repeat. The blood splatter is great considering how much there is, but its excessive nature can mean it awkwardly lands on invisible walls. Environments vary, as some look detailed such as a ruined New York, while repetitive tunnels of green look very unflattering. Audio is pretty good in its own right, and again combat shines in this regard with brutal decapitations, satisfying sword sounds and intense music which gets your blood pumping. The voice work and script ranges from serviceable to cheesy and wooden, but for the most part it moves the story along. Ninja Gaiden II is not the revolution that its predecessor was, and those expecting that will undoubtedly come away disappointed. However, temper your expectations a bit, and it’s still a top action game. It pushes you to the limits, but rewards the player with an intense feeling of satisfaction. Though its challenge isn’t always fair, when you overcome any obstacle in Ninja Gaiden II, it’s a great feeling. Other issues like a bothersome camera prevent it from entering the top tier of hack ‘n’ slashers, but it is still bloody good fun despite these flaws. Any action fan would do well to pick it up, just so long as they have the skills and patience needed to overcome the intense obstacles Team Ninja barrage players with.